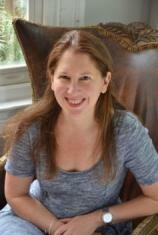 Susan Coll is the author of the novels BEACH WEEK, ACCEPTANCE, ROCKVILLE PIKE and KARLMARX.COM. A television adaption of ACCEPTANCE, starring Joan Cusack, aired in 2009. Coll works at Politics & Prose bookstore and lives in Washington, D.C.
Susan Coll enjoys speaking to book groups, so go ahead and ask. Visit www.susancoll.com for more information.